Stop tripping over backpacks every time you walk through your front door! 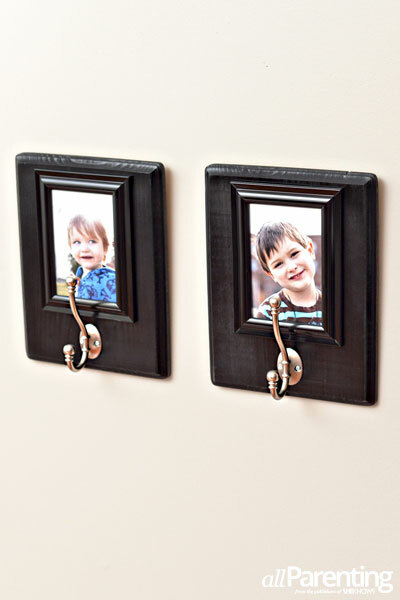 Make these cute photo frame backpack hooks and your kids will have the perfect place to hang their backpacks when they get home from school. If you are constantly struggling with a mess of coats and backpacks at the end of the school day, try giving the kids some cute, personalized storage. 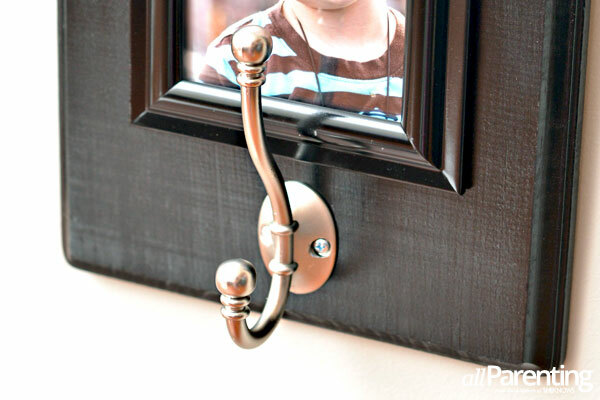 These easy to make backpack hooks can be hung at your child's height for simple organization that will help you re-claim your entryway! 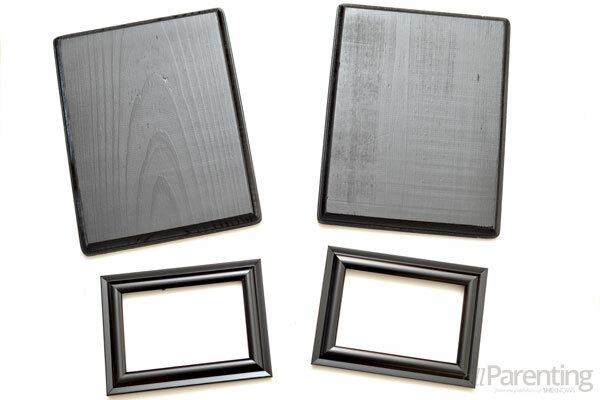 Remove the glass and backing from the picture frame and give the wooden plaque and the picture frame a matching coat of paint. 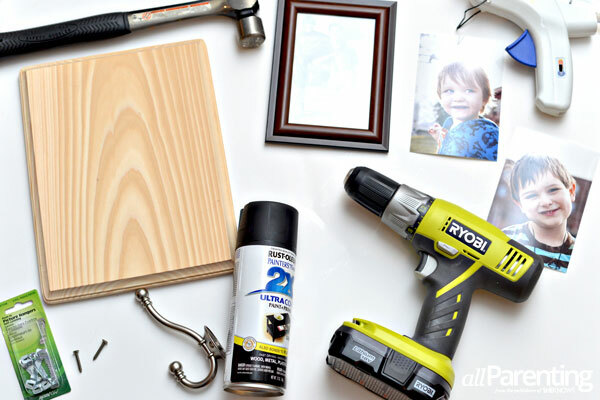 Turn the wooden plaque over and hammer a picture hanging hook in the back of it. Be sure to center the picture hanging hook. 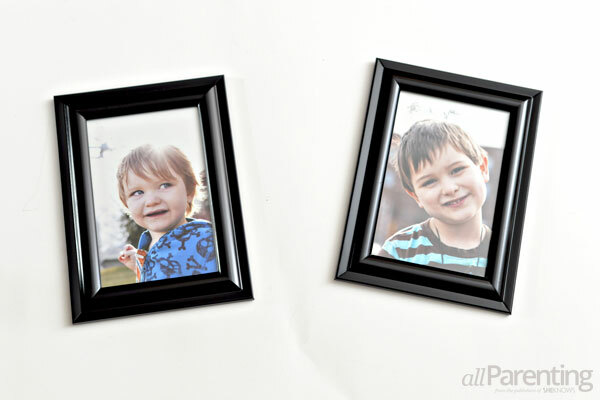 Put the glass back in the picture frames, and then put the pictures in the frames. 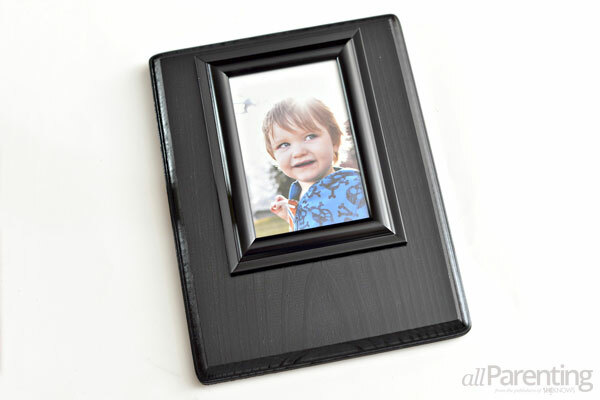 If the picture frame has a stand in the back, remove it so that the frame can be mounted to the wooden plaque. 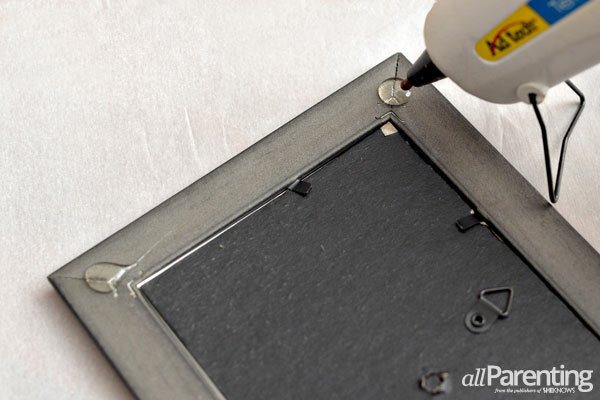 Put a small dab of hot glue on the back of the frame in each corner. Flip the frame over and glue it to the wooden plaque. 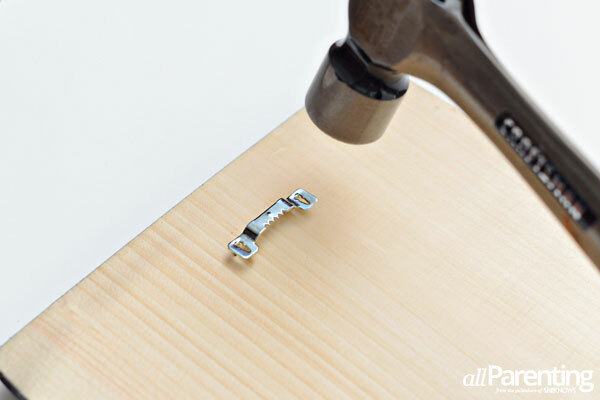 Grab your drill and carefully screw the coat hook into the wood below the picture frame. 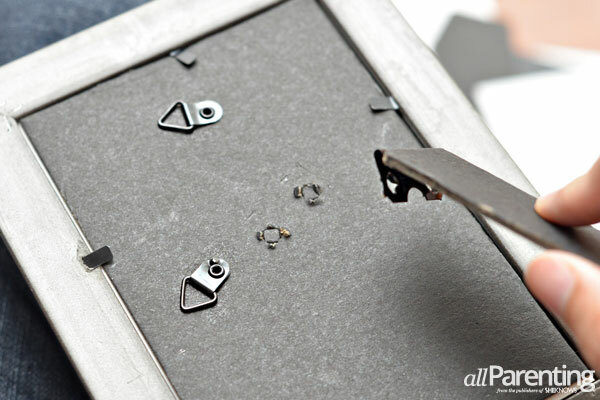 Once the hook is attached, the photo backpack hook is ready to hang!